Disputes between parties will solely be resolved by e-Court in compliance with its regulations and general conditions. This takes place in accordance with either the common law and/or the civil-law tradition whereby parties jointly instruct a third party to make a ruling on their behalf. The third party shall be e-Court. Parties whilst providing irrevocable authority to e-Court in its position as third party also instruct e-Court to confirm its decision when determining a dispute and/or uncertainty in a registered & enforeceable deed when applicable to the state of Louisiana and a registered deed for application in other states. The general conditions and rules of e-Court are fully applicable to any dispute litigation through e-Court and the resulting legal relationship between all stakeholders. They are considered part of the settlement agreement between parties. Where a party(ies) submit(s) a conflict to e-Court, that party(ies) automatically end(s) its support to the authority by any other body. The parties therefore agree to each other and with e-Court they have no longer an interest to settle their conflict and/or uncertainty through another outside body. Parties choose explicitly to litigate through an expert legal e-Court judge, within a well defined process and with a possibility of an appeal, as such the procedure ends in a decision by the e-Court judge. Each party expressly disclaims against the other party any further action to review the e-Court decision by the judge outside e-Court. e-Court has jurisdiction to deal with eligible common & civil cases under the common law and/or the civil-law traditions in Canada. If a case by a lawyer ( "counsel") of one party is presented to e-Court, the conflict is considered eligible for litigation through e-Court. E-Court, in that case will broadly interpret its authority and follow the understanding by the submitting counsel. However e-Court has all times the right to decline its jurisdiction and subsequent litigation. e-Court will decline jurisdiction in criminal, administrative & destructive Board decisions, bankruptcy, certain family law issues (such as; name changes, paternity declarations and the like) as well as other jurisdictions reserved to government law jurisdiction. If parties consent to litigate solely through e-Court, but either party wish not to give evidence through its submitted dossier(s) and/or either party clearly wish not to cooperate ( e.g not showing up in a appeal hearing ) during the e-Court process, then the e-Court judge can declare an absentia decision. The respective case is cancelled and e-Court declines any jurisdiction ; counsel and its representing party will be excluded from further participation ; e-Court shall keep the relevant party responsible for all related damages ; e-Court will always report to the police; e-Court reserves its right to refer the matter to a relevant government court; e-Court in such cases will not (re)pay any damages or costs. All court fees or hearing costs paid will not be refunded. Article 6 - Costs Responsibility/liability for selection of e-Court arbitrators and setting up a hearing will not be refunded. The liability of e-Court and limitations are contained in the Articles of Incorporation. Each of the Parties shall waive all rights to dissolve or annul the settlement of any regulations based on any ground. If any part of the settlement is considered void or invalid, such invalidity or nullity shall not affect the other parts of the settlement and as such the settlement without the void or invalid parts shall remain in force. If and insofar as unreasonably burdensome is placed on any parts of a settlement in terms of reasonableness and fairness a reasonable & valid provision and /or clause shall be included in final settlement between parties. 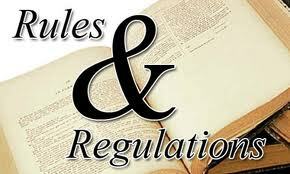 Article 8 - Changes in the general conditions rules and regulations. e-Court is entitled to change rules & regulations, the amount of the fee and court costs or other provisions. Amended provisions will impact dossiers that run from the next Monday after publication of the changes on the website. An extract from the records of e-Court will serve as evidence. e-Court need not keep its records longer than the statutory terms. e-Court cannot guarantee correct images and/or profile text used on its websites. Parties are obliged to timely inform each other of e-mail address changes. When one party with respect to this obligation fails, the other party will be allowed to use the website email address or other known address. Article 1 - Invitation for e-Court litigation. An invitation by one party to the other party is done through the parties' designated email address. Or, failing that, by the other side typically used email address. A dossier becomes active upon payment of the e-Court fee. This fee is calculated based on the "bare" party(ies) claim but not including interest. The height of the Court Fee and other charges shall be published on this website.The party(ies) which submit(s) a case for litigation, determine(s) if a hearing is desirable. In the affirmative the cost of the hearing shall be charged simultaneously with the Court Fee. Other costs shall include an escrow relates to a prepaid fee equal to lawyer/counsel appeal fees and is payable by both parties. Enforcement of a decision by an e-Court judge is encouraged in all states outside the state of Louisiana by awarding the "winning" party, the 'losing' party's prepaid portion of the escrow amount. This applies only when the 'losing' party, whilst firstly agreeing to abide by the e-Court litigation process does not honor the judgement of the e-Court judge either with regards the standard or appeal procedures, making enforcing not possible. Moreover, the prepaid escrow portion by the "winning" party, shall be returned to the 'winning' party at the same time of the e-Court decision with regards the standard or appeal procedures. The escrow money received by the 'winning' party shall be used to pay for counsel costs incurred by the "winning" party to litigate in e-court and/or a traditional government courts. In the unlikely event that there exist a claim and counter claim between parties and enforcing the decision by an e-Court judge is not possible then the prepaid escrow amounts shall be used to pay for counsel fees of both parties to litigate in a traditional government court. Enforcement of a decision by an e-Court judge with respect to a defendant residing in Louisiana shall be legally enforced through a specially designed notarial deed based on the Louisiana civil code. When a dossier becomes active, party(ies) no longer is/are entitled to reimbursement of the e-Court fee, the prepaid hearing costs if any and the escrow under circumstances as mentioned above. This applies even when parties reached voluntarily a settlement during the proceedings, or if for any reason e-Court declines further jurisdiction such as own declared incompetence. A procedure through e-Court proceeds conform the process dossier and is in accordance with the principle of opinion and counter opinion and timelines set forth in the dossier description as per website. Each counsel of parties is entitled, within given timeframe, to add/complement/complete its dossiers. If this right is not used, this right expires. The dossier information shall be visible to the opposing party only after the the timeframe expired. Delays and/or modifications of the process proceedings are not possible, also not upon joint request of parties. Views and statements of parties must be expressed as clearly and concisely as possible. Long and obscure passages may be disregarded by the e-Court judge. The e-Court judge will try to adhere as much as possible to current statutory law, applicable case law and jurisprudence. Evidence may be provided with all means, as long it is possible to bring these through the dossiers. The judge is free in its appreciation of these evidences. Written testimonies will be admitted only if the signature of the witness is authenticated by a notary, and the legalization also been introduced in the dossier. The judge is free in his/her appreciation of the evidence. Hearing locations are reserved by e-Court. If the location is not available on the appointed day and time, then e-Court has the right to reserve an alternative site as close as possible near the preferred location. During the meeting, parties are offered a meeting room. It provides coffee, tea and water. 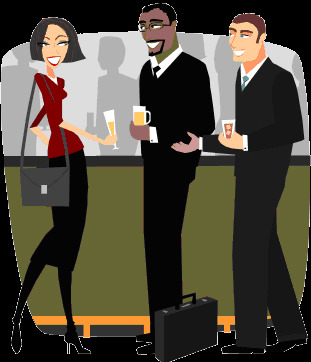 Drinks and other expenses, including travel to the location and possible parking costs are borne by parties. The judge may request parties to bring witnesses to the hearing for answering questions. The e-Court judge shall rule on the basis of the contents of the dossiers and the hearing. The verdict includes a brief justification of the decision. e-Court has no control over the assessment by the judge re the dispute. Extra-judicial and other judicial costs are shown on the e-Court websites and are distributed in the manner as published on the websites. In ongoing proceedings, when/where parties do not agree on issues such as hearing reservations, etc the e-Court judge has the authority to make a final decision. The judge of e-Court has the authority to decide in cases where e-Court regulations do not provide. In all situations the Service Desk is given a notification of the relevant decision. Cases are automatically assigned to the e-Court judge which first indicates wishing to accept a case. A case is preferably handles by an e-Court judge, who explicitly mentioned the needed specialization in his/her profile. If a party has any doubts if a perceived impartial and independent e-Court is able to rule, then his/her counsel can request to replace the e-Court judge via info@e-ecourt.us, with a copy to counsel of the other Party. In the topic is stated "court challenge" and the dossier number of the relevant e-Court case. The board decides without delay to a request for a challenge to replace the e-Court judge and in any event within 24 hours. The parties will act toward each other carefully and will observe total confidentiality. Parties will only communicate with each other using the dossier or during the hearing when this takes place. Parties shall not allow third parties to read the dossiers, when it can be expected that this will result in a 'breach' of confidentiality. e-Court may exclude any person/party from further participation in e-Court, if they violate the e-Court rules & regulations or otherwise causes or threatens to harm the reputation of e-Court.